In a historic moment, Washington DC Mayor Muriel Bowser signed into law new legislation that would raise the city’s minimum wage to $15 and hour by 2020. The plan is to increase the current minimum wage, which is $10.50 an hour, to $11.50 an hour next month. 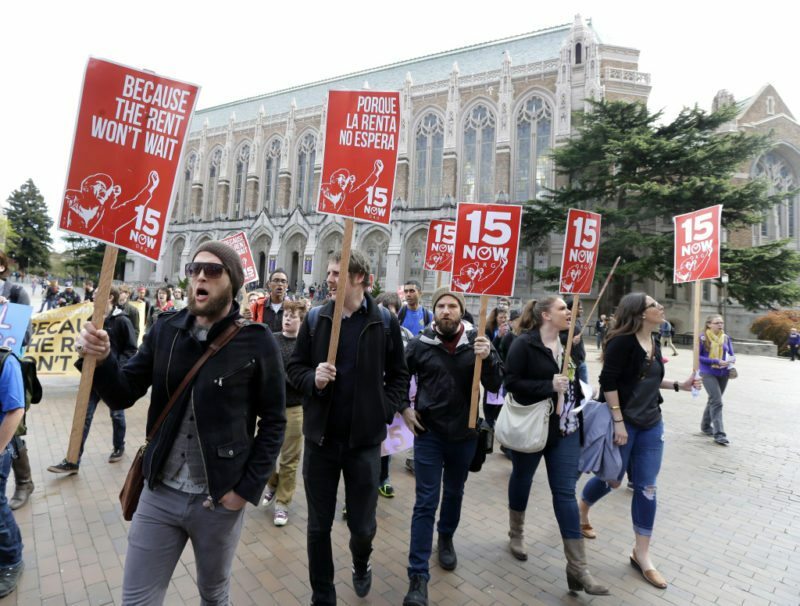 The wage will increase incrementally until reaching $15 an hour by 2020. Tipped workers will have their minimum wage increase from $2.77 an hour to $5 an hour. However, there is still debate as to whether $15 an hour will really be a livable wage for those working and living in Washington DC, let alone in 2020. $15 an hour translates to just over $31,000 a year for a worker with a 40 hour work week. According to U.S. Uncut, the livable wage for one adult in D.C. nowadays is nearly that already, at $14.49. This doesn’t even come close the single parents, whose living wage is around $30 an hour, or two adults with one child, which is about $17 an hour. Several other cities have passed minimum wage laws, promising to have a minimum wage of $15 an hour by 2020 or 2021. Boston is also close to passing legislation, with Mayor Marty Walsh supporting the $15 an hour movement.